Home / Finbus / How can your brand benefit from Linkedin Articles/LinkedinPulse? 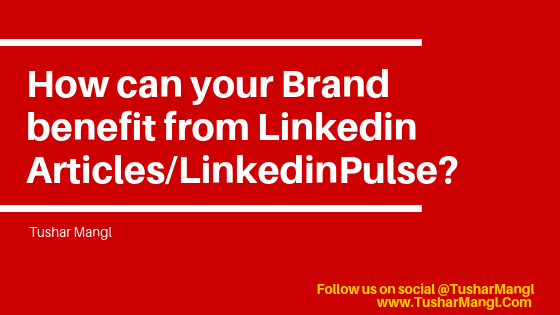 How can your brand benefit from Linkedin Articles/LinkedinPulse? Linkedin Pulse/Linkedin Articles is a blog platform wherein you can post writeups/notes on the Linkedin Network and share your ideas and thoughts with others. I will write a separate piece on how individuals and professionals can use it for their own career growth. This one is about how you can grow your business, or better your brand outreach through Linkedin Articles. It gives you an excellent opportunity to reach a wider audience, engage with your loyal clients and to boost your goodwill. 1. Attractive headlines - Their is no substitute to this. Whatever you are writing, the topic or genre could be anything, the headline has to be catchy. It has to compel readers to go through your post. 2. Integrate your Linkedin Pulse strategy with S.E.O. - Many brands make the mistake of isolating SEO and Social Media strategies. S.E.O. can be really useful for Linkedin articles. It can help with keywords which the audience is looking for. This can give social marketeers better idea on what to write about. Also make the articles more searchable. Through S.E.O. strategies one can also hyperlink various important links which can further boost discovery. Like you can use hyperlink for reference articles, your company blog or a product link. 3. Draw up a Linkedin Article Calendar - If you are using this platform for business, make sure to publish regularly according to a set calendar. I always advise to draw up a calendar of up to three months. 4. Review your strategy at regular intervals - The user behavior at sites like Linkedin keeps changing. So whatever strategy you formulate, keep reviewing it at regular intervals. 5. Your Company Blog & Linkedin Pulse are different - Don't copy paste the same content or treat both platforms as same. The objectives, reach and set up are way different. While the content strategy can be similar it should never be identical. 6. Use other Social Media to amplify your article's reach - Twitter & FB channels of your Business can help further to serve wider audience. You can also share your article with colleagues and clients who can further share it within their networks. 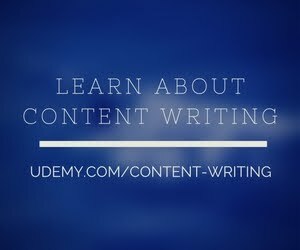 Linkedin users, generate over 200,000 articles a week. It is one of the major publishing platforms in the World today. Catering to professionals, it can be a great opportunity for your business to achieve specific goals. I have tried to cover a few pointers in this article, if you have anything to add, do share in the comment section below.